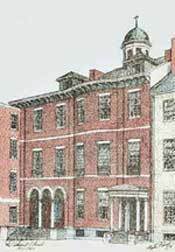 The School of the Cathedral had its beginnings as Saint Joseph’s Metropolitan School, located at 7 West Mulberry Street in downtown Baltimore. In 1871, Archbishop Martin John Spalding requested that the School Sisters of Notre Dame staff the school and it was renamed The Cathedral School. The school flourished and attracted students from the metropolitan area. In the late 1950s, plans were made to relocate the school to the grounds of the new Cathedral that was being built on Charles Street. On September 12, 1960, the Cathedral School of Mary Our Queen (the name was later changed to the School of the Cathedral of Mary Our Queen) opened as a parish school at its present site on North Charles Street in Baltimore, Maryland, and was dedicated by Archbishop Francis Patrick Keough on December 15, 1960. The School served grades K-8 and in 1961 graduated its first class of 47 students. In 1986, the Monsignor Thomas Whelan Program was established and named in honor of the first Rector of the Cathedral of Mary Our Queen. The Monsignor Whelan Program is a developmental learning experience for the whole child and includes kindergarten and pre-first classes. In 1998, the Regina Plan, a strategic plan for learning, was introduced into the school program to help those children who have above average to high intellectual ability yet learn differently, or who have speech and language needs that interfere with learning. Today, approximately thirty students with diagnosed learning differences are serviced through the plan. The School of the Cathedral follows and exceeds the Course of Study required by the Archdiocese of Baltimore. The School provides an extensive array of after-school clubs and athletics, as well as an extended care option. In March 2010, the School was awarded its latest accreditation by the Southern Association of Colleges and Schools Council on Accreditation and School Improvement (SACS CASI). SACS CASI is an accreditation division of AdvanceED, the world’s largest accrediting and school improvement organization. In October 2010, the School of the Cathedral celebrated the 50th anniversary of the School’s location on Charles Street and 140 years of excellence in Catholic education. 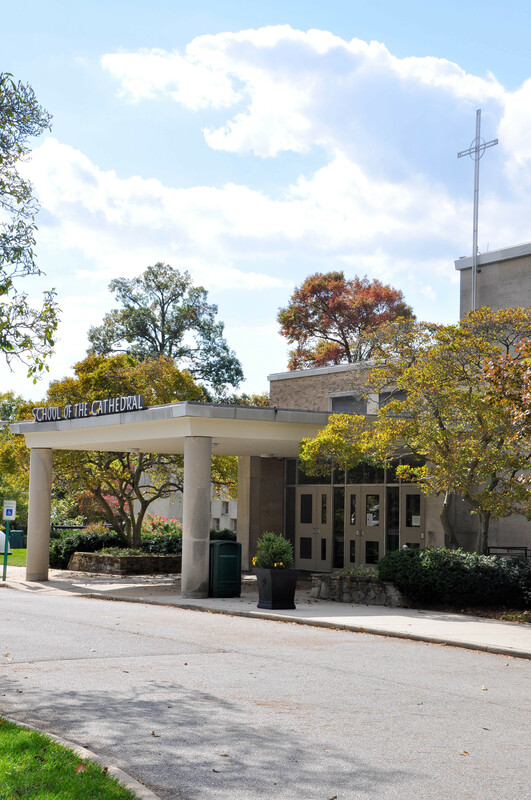 In October 2014, the School of the Cathedral was designated a National Blue Ribbon School by the U.S. Department of Education. This is the highest honor a school can receive and was based on academic excellence evidenced by student achievement measures and a research-based indicator of school quality.